Blue Creek to St. Peters to Highland Center to Lookout. No sign. sits off rd. (Highland Center to Blue Creek closed due to bridge repair use detour). Approx. 6 acre to be surveyed with FC water and electric at road. If looking to build, buyer will need to have septic sites approved. 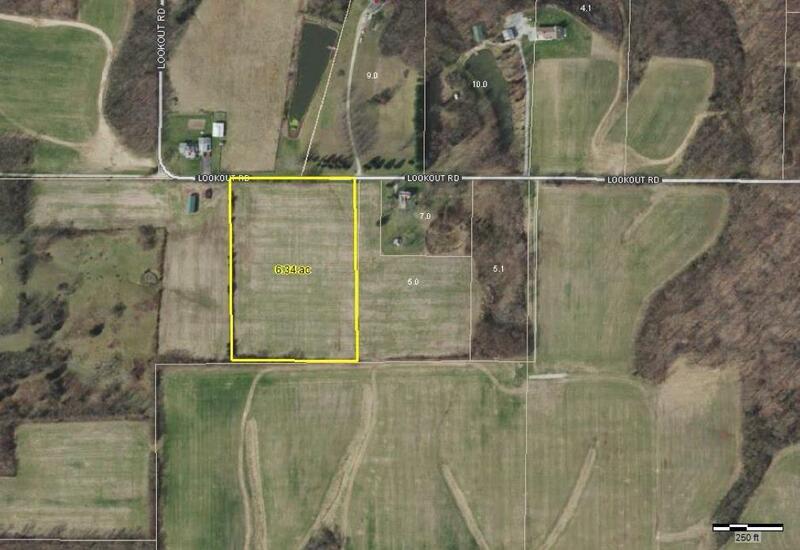 Can be combined with 3.98 acres; listing# 1597338. Current farmer has crop rights.